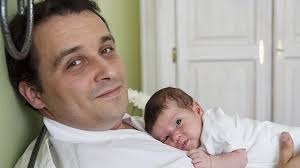 Employers are unprepared for the new Shared Parental Leave legislation, according to studies despite the rules coming into force next week, on 1 December 2014. More than one in five (21 per cent) HR Directors admitted they are not ready for the requirements of the legislation, while 70 per cent say they predict little or no interest from employees in the first 12 months. Yet when employees were asked their views, a third (33 per cent) of 16- to 34-year-olds said they anticipate taking advantage of it within the next five years. Shared parental leave is a new right that will enable eligible mothers, fathers, partners and adopters to choose how to share time off work in the first year after their child is born or placed with adoptive parents.. It will be an option for parents with a child due to be born on or after 5 April 2015. The new allowance is designed to make it easier for women to return to the workplace after having a child, facilitating a more equal distribution of childcare responsibilities. Yet, despite the potential benefits for work-life balance and gender equality, more than one in 10 (11 per cent) workers questioned have not heard of Shared Parental Leave, rising to 13 per cent of 16- to 34-year-olds. This suggests an additional need for employers to educate staff to ensure they are all aware of the benefits and implications. Keep following www.brightcontracts.co.uk where we will be updating our Shared Parental Leave guidance regularly.